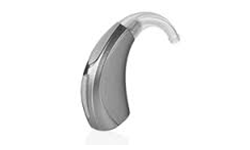 Are you thinking getting a hearing aid but you are worried about the size and look or useful for you. 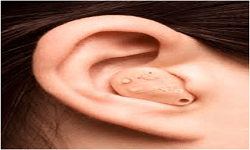 But don’t worry about the hearing aid style our Audiologist will help you for choosing correct hearing aid style as per your budget lifestyle and give free trial in your environment for the correct selection of hearing aid style. Hearing aid definitely helps you for improving your hearing by amplifying soft sounds. 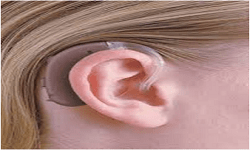 The hearing aid has some basic electronic part inbuilt that carries sounds from the environment in the ear and makes amplify for your clarity of sound or louder for better listening. 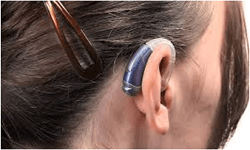 There are two main types of hearing device Digital hearing aid and Analog hearing aid with all is power with batteries. In any hearing aid style, a small microphone is fitted that collect sound from the environment. An electronic circuit chip with an amplify with the conversion of incoming sound into the digital code. The analysis of sound on the basis of your hearing loss, reduce sound automatically around you that is called as noise reduction. When amplifier received sound wave or signals convert into a sound wave and send to your ears through speakers. 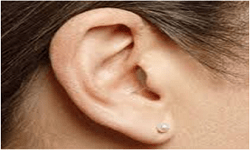 Hearing Aid Style varies the size, features of hearing aid and how to fit in your ear. Overwhelming hearing aid styles available in our center for your trial beginning with the smallest, invisible or hidden hearing aid style (IIC, ITC, ITE) or behind the ear (BTE, RIC, RITE, Open Fit) in Sonics,Starkey,Phonak,Oticon,Siemens,Signia,Starkey,Widex,ANM,Audio service,Rex-tone hearing aid types with attractive discounts and great service offer in Blue Bell Plus. 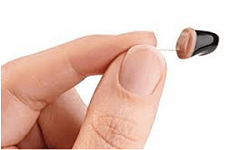 IIC –Invisible in the canal is a very smallest customized hearing aid style available in our center. 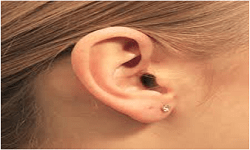 It is fit directly to your ear canal that is called external auditory cochlea completely invisible and suggests for Mild to Moderate Hearing Loss. 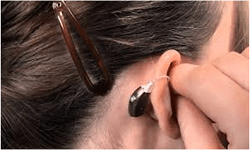 Extraction cords are attached to IIC hearing aid style to insert or remove easily. 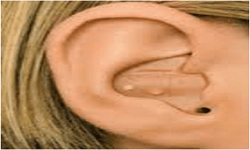 For deep fitting impression require from audiologist for custom fitting. It delivers great natural sounds when you listening mobile. CIC-completely in the canal is also the smallest hearing aid style and custom fit making only face plate and battery drawer usually visible. It is slightly bigger than IIC-Invisible hearing aid.Minimal to Profound suggesting this hearing aid. 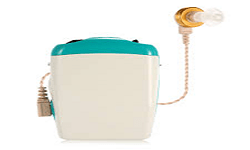 ITC-In the canal hearing aid is slightly bigger than CIC and suggests for up to 80% hearing loss. It is fitted or design to fit in lowers third of your external ear and available in all digital technologies hearing aid style. ITE-In the Ear hearing aid also the custom fit hearing aid that is shown in the picture. Suggest Audiologist for up to 80% hearing loss and they are designed to fit cavum concha-external ear. Extraction cord helps for insert and removes easily. 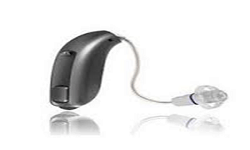 mBTE-Micro Behind the ear is a visible hearing aid and used for up to 80% hearing loss. 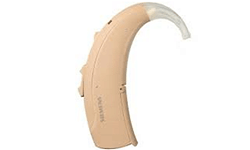 This hearing aid type available in both technologies digital and analog. 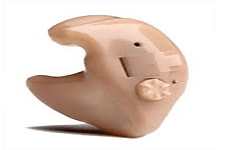 It is cheapest hearing aid segment compare to custom fit hearing aid. BTE-Behind the hearing aid style delivers sound via a sound tube. It made acoustic tubing channeled through the impression of ear mold or attached to ear dome which fitted to the ear canal. It is very powerful for profound hearing loss, Dual microphone helps for noise reduction and speech understanding. 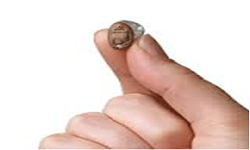 It is cheapest hearing aid types available in digital and analog hearing aid. RIC-Receiver in the canal is the behind the ear type and deliver sound directly to the ear. The receiver wire is made of thin electric cable that gives you natural and crisp sound quality. The receiver has a different power level that can be fitted as per your hearing loss. 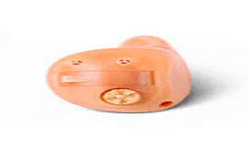 It is biggest hearing aid style connected with wire receiver. It is available only analog technology and up to 100% Hearing loss suggests.